Decorate your home or office with these temepered glass posters based on HBO's hit series, Game of Thrones! Each glass poster measures 19 1/2' by 10' and comes with a hook to fasten on the wall. 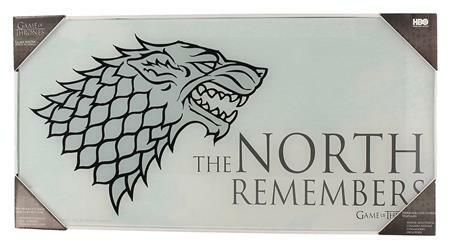 Choose from three designs: The North Remembers, Tyrion and Dragon, or Westeros Map.